Download a FREE sneak peek at the Foreword, Introduction, and Chapter 1! Many people today feel harried and empty, driven by an unrelenting ambition to accomplish something big and meaningful. Yet in contrast to the constant pressure we feel to achieve, Scripture defines success altogether differently. 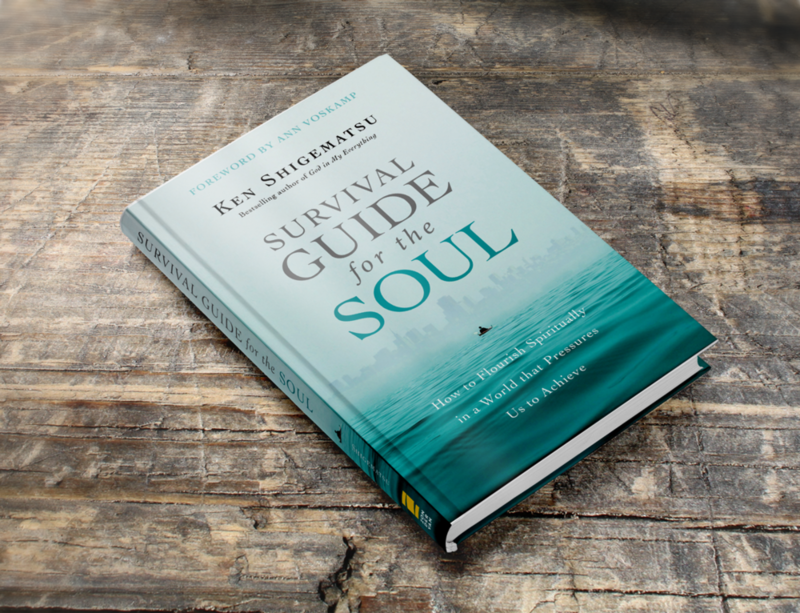 In Survival Guide for the Soul, bestselling author and pastor Ken Shigematsu speaks poignantly about overcoming the obstacles that keep us from flourishing in our spiritual lives. He reveals the secret to a robust inner spiritual life: rejecting the temptation to validate ourselves through the pursuit of significant achievement and embracing a life of gratitude, knowing that we are already beloved as a son or daughter of God. Drawing on a wide range of sources—including Scripture, church history, psychology, neuroscience, and a rich variety of stories from his own life—Shigematsu offers a fresh perspective on how certain spiritual practices help orient our lives so that our souls can flourish in a demanding and competitive world. 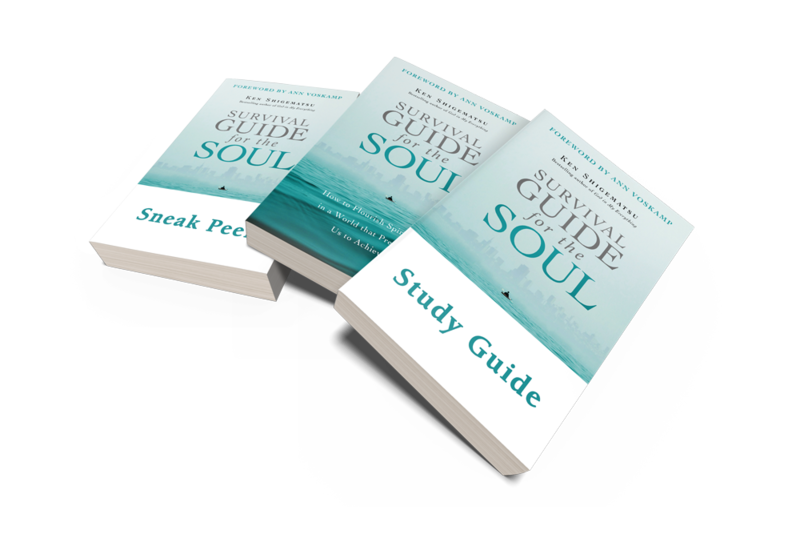 Buy the book and receive a FREE Study Guide for individuals or small groups plus a sneak peek at the foreword by Ann Voskamp and the first chapter! Follow the steps to claim your bonus. 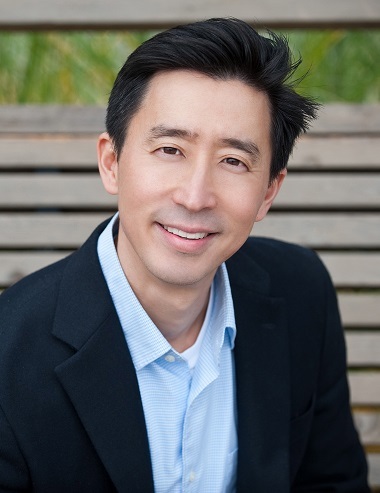 Ken Shigematsu is the Senior Pastor of Tenth Church in Vancouver, BC, one of the largest and most diverse city-center churches in Canada. Before entering pastoral ministry, he worked for Sony Corporation in Tokyo and draws on both eastern and western perspectives in writing and speaking. Ken’s first book, God in My Everything, was named Christian Living Book of the Year by the Word Guild and received honorable mention for the prestigious Grace Irwin Prize, Canada’s largest literary prize for Christian writers. He lives in Vancouver with his wife, Sakiko, and their son, Joey.